As we see everyday, the world is evolving and changing constantly, especially in the tech department: 8 years ago, there weren’t even smart devices for us to use. Back then we didn’t even imagine using devices like smartphones or tablets. Now we can’t imagine living without them. The use of mobile data has grown more than exponentially in the last 5 years. By the end of 2010 mobile data was twice as much as voice data. From the beginning of 2014 to the beginning of 2015, mobile data usage has grown 55%, a data report from Ericsson states. 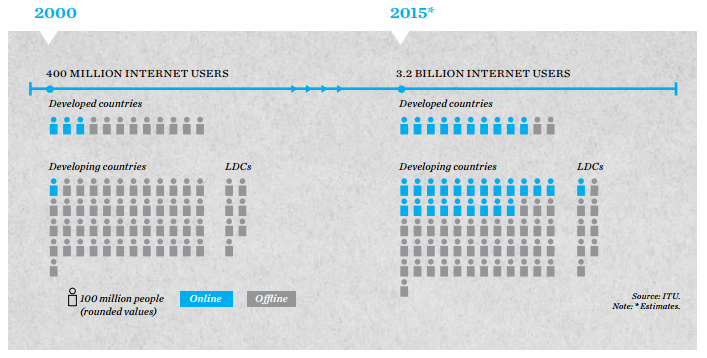 There are now nearly more mobile-cellular telephone subscription (around 7 billion), than people in the world. That tells us that the people who have access to mobile internet do access the internet with more than just one mobile device. How much time do we spend looking at our smartphones? The average time we spend on our mobile devices daily is 3 hours and 40 minutes and that amount of time does not include the time we spend doing actual phone calls. 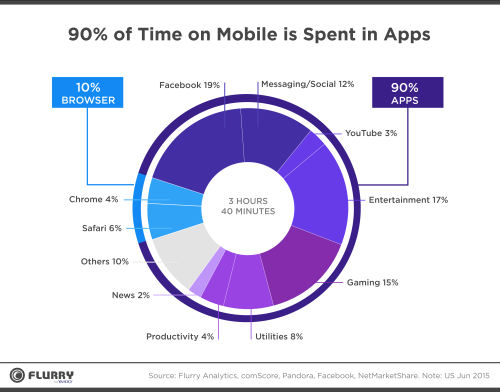 According to a Flurry Analitics research, 90% percent of the time we spend on our mobile devices we spend within apps. Out of 1.8 million apps that can be found in the Google Play Store (November 2015) and 1.5 million on the Apple App Store (June 2015), the average user has just 36 apps istalled, but only 26% of all installed apps are used daily. 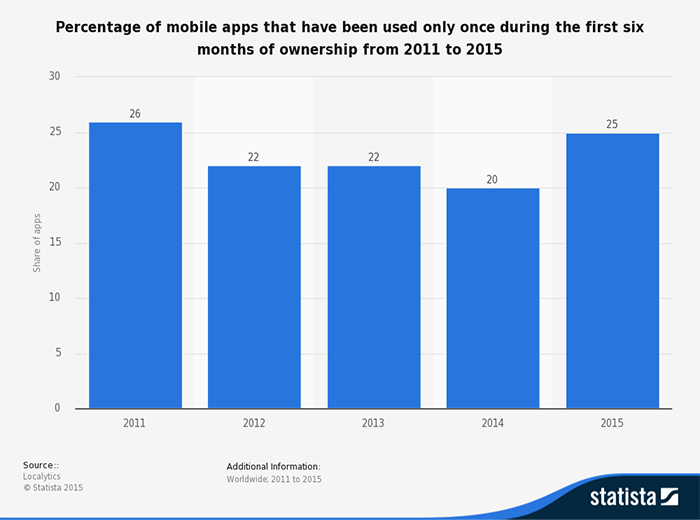 25% of installed mobile apps have been used only once by the device owner in the first six month of ownership, as the graphic below shows. Information we cannot acquire through installed apps, we look up in the mobile web through, guess what? A browser app. According to the participants who took part in this survey conducted by the Bank of America, they couldn’t last a day without their smartphones. 91% say that their smartphone is very important and for 60% it is even more important than coffee. For 96% of Millenials (people aged 18-24) the smartphone is very important and for 93% it is definitely more important than deodorant and for 93% more then the toothbrush. So what is the best way to reach people? Through their mobile devices. Does it mean that your company needs to be mobile friendly? Absolutely yes. Don’t forget to check back for our next blogpost “Mobile App or Mobile-friendly Website?” in which we’ll discuss important choices for your business’ online presence: websites with a responsive design and mobile apps.